Some things. unrelated in nature. First, the announcement of a small victory. I burned two pounds this week! I am lucky to have access to one of those doctor-style scales at work. I confess to stepping onto the scale at the gym and being dismayed by the inaccuracy of its readout. The scale at work can show me cleanly and clearly measurements as small as a quarter pound. I am a believer of using the same scale consistently. Second, I have a lust for one of these chairs. 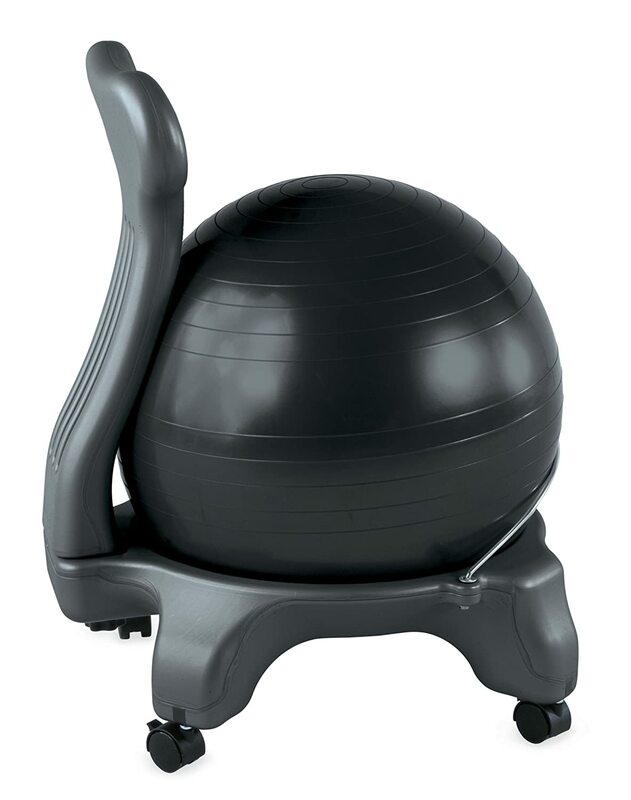 They come in a few different styles but, ultimately, I want a ball chair. I have noticed that my circulation is very affected by sitting in my office chair all day long. I have a life-long (bad?) habit of sitting with my legs folded beneath me. You may recall I am a mere 4'11"... my feet do not ordinarily touch the floor in most chairs. So, I can sit with my feet tucked or propped and reach all the things on my desk appropriately, or, I can lower my chair so that my feet rest comfortably on the floor and feel like a child trying to reach across my desk. My hope is that with a chair like this one, I will improve my circulation, engage my muscles more actively and also sit at a workable height at my desk. Have you tried one? Wanna tell me all about it??? Newer PostAdventures in shopping and the daily grind.